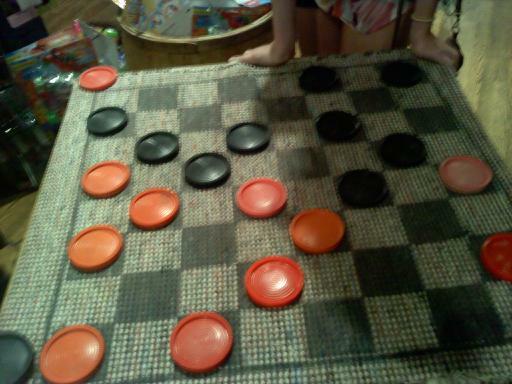 Adventures in Cracker Barrel, as per Inkling's request. Here is the dining area. It might not be obvious in this image, but the place was packed full of old people. I didn't see anyone else my age (or weight). The walls are covered with random objects from the 19th century to about 1960. Out on the front porch are about 30 rocking chairs in a row. 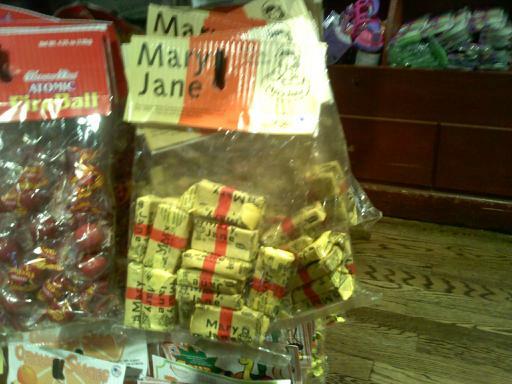 There is so much old fashioned candy and stuff. I got malted milk balls. I also got a vanilla cuptake scented candle. So good. A small fraction of the MERICUH that fills up the general store section. 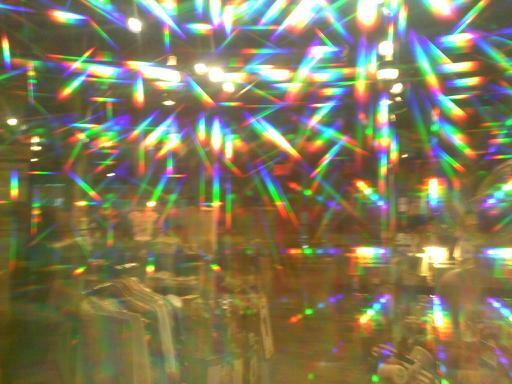 Got so excited when I found fireworks glasses there. I own some but got more anyway. They only had glasses covered in American flags. Meal I ate was chicken and dumplins with mashed potatoes and gravy and fries. While waiting I played this thing repeatedly and was generally terrible at it. It's a restaurant and a gift shop? 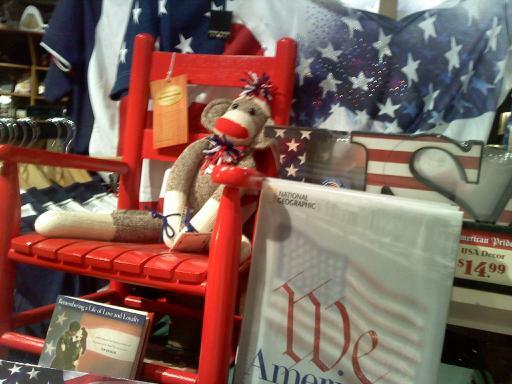 You would have to be a blithering idiot to actually buy something from the Cracker Barrel gift shop. 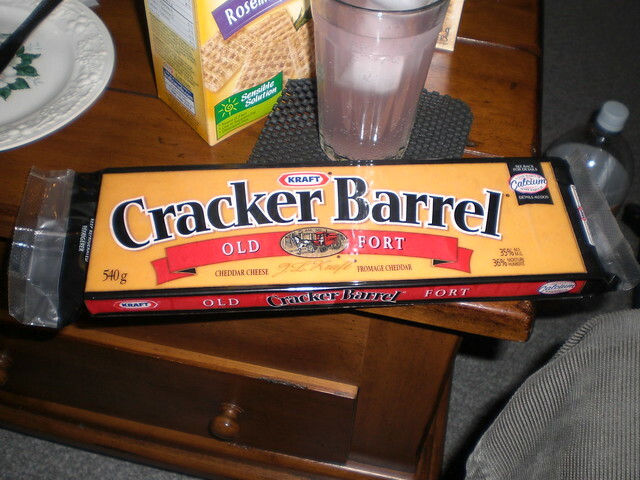 Whenever I hear about people going to a Cracker Barrel or something it confuses the hell out of me since this is what Cracker Barrel is in Canada. I had the same problem and I live in the United States. Anyway, back to the salt mines with you, Canadian. Rome will command its provinces. Anyway, back to the maple syrup mines with you, Canadian. Rome will command its provinces. No... hahahahaha... you get salt. Thanks, Brandon! I've been craving Cracker Barrel's steak biscuits for a few weeks, I might have to go myself. No stupid, Maple Syrup is liquid, its extracted fropm a rig or derreck. I thought it was a by-product of elk herding and production. Which are kept in mines. 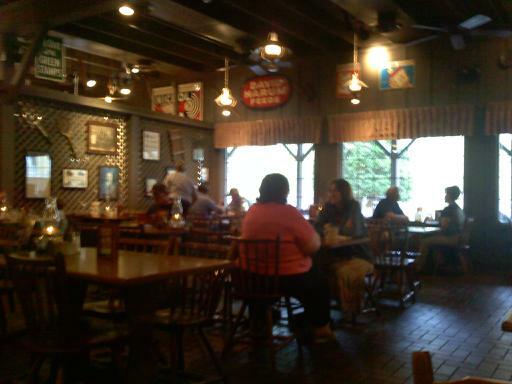 When going back east on a road trip with my family many years ago we went to a Cracker Barrel (we don't have any out West). After eating my parents shopped in the gift shop and my sister and I sat waiting on the rocking chairs out front. I would always bring my drawing folder around so I was happy drawing while I waited. This was before iPods and smart phones. I think possibly my sister had her Game Boy Color with Pokemon Yellow. Anywho, while we waited the people nearby were talking and it sounded like "memamuma muameomua ma mamumuma" Note this was in Mississippi and to me I could not understand a word they were saying other than "uh huh" at the end of their sentence. It sounded like Boomhauer from "King of the Hill". To this day its an inside joke of my family which gets a good laugh to start talking like that if you flub your words when talking.